‘…I know the risks, and moderate them when I can, but still I press on, even into adversity. There are very few things I fear, and even this situation was not one of them. The book has a very strong opening. I was hooked from the first page. The author’s narrative voice is so inviting; it calls to the reader. The book definitely achieves it goal of convincing the reader that life is for living. It certainly made me want to get on a bike and ride. The book does such a good job of convincing the reader that riding is a freeing experience that many readers that have not previously owned or ridden a bike will want to start riding. This was an entertaining book. The author has a warm and inviting voice that works to bring the reader into the stories. The bond between man and machine is a mystery to those who have not experienced that kind of relationship. 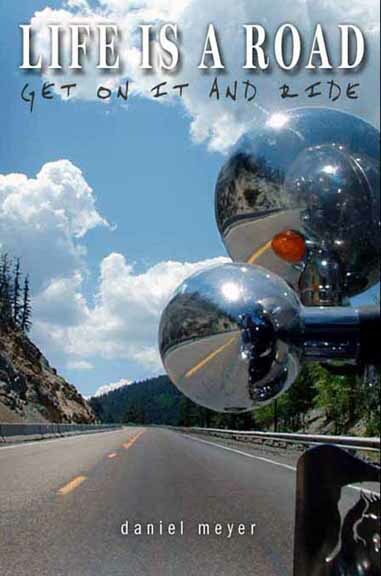 Through Meyer’s insights and descriptions, readers will gain some understanding into this, often male, connection with the iron horse of the highways.